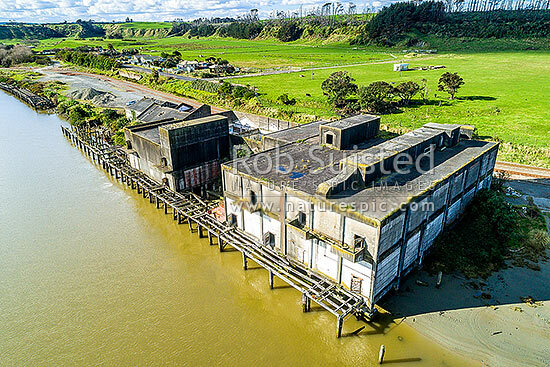 Patea River, with remnants of the Patea freezing works, coolstores and wharves. Remediated freezing works site, and Marton - New Plymouth railway line, behind. Aerial view, Patea, South Taranaki District, Taranaki Region, New Zealand (NZ), stock photo.